As we all sat in the tukal, -sisters, brothers-in-law, father, mother, grandchildren, friends and relatives, the sunlight streamed in the door, glancing off the feathers of inquisitive baby chicks, and falling softly on the faces of those who had gathered to share their grief. War had a face. It was the suffering face of our friends and colleagues in Gambella as family after family heard of this son killed, that brother gone missing, that dear friend no longer alive. I was struck that there was no denial of grief as parents and relatives shared their hope in Jesus. Death had taken the one they loved from them, and Jesus had taken their loved one from death. Both hope and grief had equal place. And we were privileged to share in this with them. 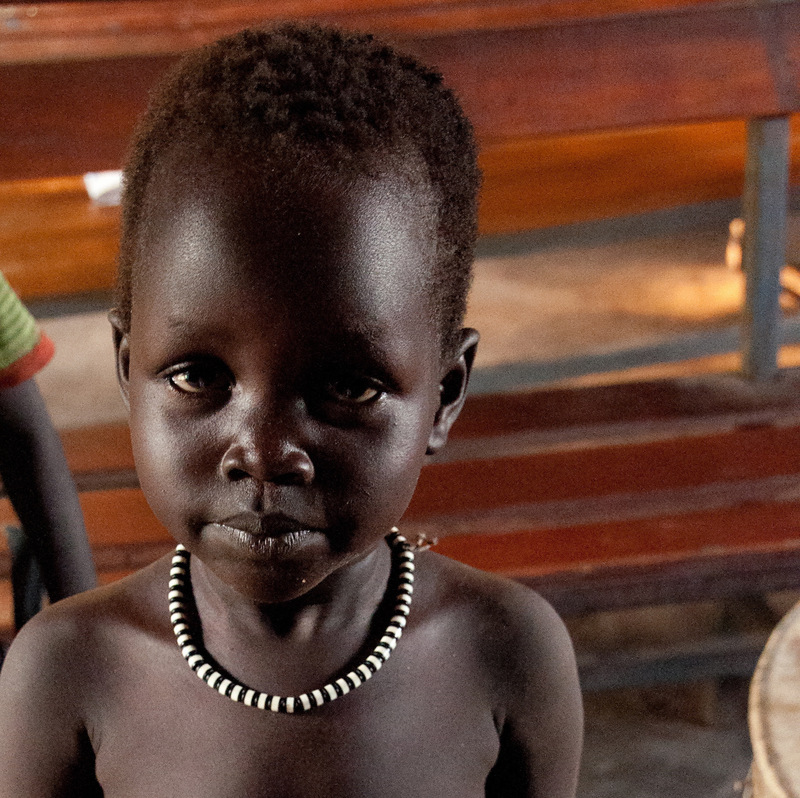 I’ll let Grant share more with you about Gambella and the nearness of war. Next door to us, South Sudan is at war. The trouble started, it seems, as a dispute between two groups of soldiers in Juba - one group backing the President, the other backing his ousted Vice-President. Within days the whole country was involved in a conflict which has killed thousands, and displaced hundreds of thousands. Despite the newly signed peace treaty, many, in the colloquial English of this region, are still “running away.” When I was a kid to “run away” was a sign of cowardice; here it simply means survival - you run or you die. The conflict, part political, part ethnic is, for us, very personal. We have many South Sudanese friends, and many here in the Gambella region of Ethiopia with roots (and family) in South Sudan. Almost every day we hear from our priests, staff members and parishioners that they have had a family member killed in South Sudan. Many, many tell me that they have not heard from family members - some reported to have fled, one reported to have been imprisoned. Soon after the fighting started it became clear that it was unsafe in Gambella for one of our priests. Michael was serving a Nuer congregation, although he is himself is a Dinka. We have had to send him and his brother-in-law (who is part of his extended family) to Addis Ababa for their safety, at least for now. The Gambella region is surrounded on three sides (south, west and north) by South Sudan and Sudan. Some of the towns where we have churches near the border have been overrun with large numbers of people fleeing the fighting in South Sudan. The UNHCR and the World Food Program are working hard to meet people's needs, but there is always a delay, so people turn to the churches to help. For example, in Matar, where I went a couple of weeks ago with a truckload of food and other essentials, there were about 4,000 refugees waiting for their new camp to be built just outside another town called Nininyang. It is now ready and they are being moved there, but more refugees are arriving daily. I am told the camp will have 17,000 people soon. This past week I visited another new refugee camp, this one near the town of Dimma. The landscape was bleak - not much soil, just rocks and barren trees, devoid of any foliage in the heat and dust of dry season. I met on Saturday afternoon (under a tree, not that that helped cool anyone off...) with leaders of the new Anglican Church in the camp. They are receiving adequate food and shelter from the UN and the WFP. They have tukals (huts) to sleep in, but no place for a community shelter for worship, or other meetings (such as a place to teach their children - it will be some time before a school is set up). They also need clothes. They had to leave their homes in Sudan in a hurry and many literally had to flee with the clothes on their back. I had about $150 with me and spent it all in the Dimma market buying what clothes I could. More will be sent this week with Wilson, our priest from Dimma. Hopefully we can also get the church some shelter. They asked me for bibles in various languages, to license their lay readers, and to baptize about 70 people. Their last request: they wanted me to name their church. Because Jesus, Mary and Joseph also had to “run away”, and were themselves refugees in Egypt, the new refugee church took the name, ‘Holy Family'. Interestingly, the people in Holy Family Anglican Church put their own twist on the name: they saw themselves as a holy family, a family transcending ethnicity, drawn together to worship the one God and Father because of what the Lord Jesus and his Holy Spirit have done for them. On Monday morning I led worship at the camp. I was told that there were about 600 members but 800 turned up. We started at 7.30 am, so that we could worship in the coolest part of the day. We kept it really short (2 and a half hours) since we had a lot of baptisms. We also had the Eucharist which many had not had in a while. Amazingly, I caught a glimpse of the kingdom at this service -- although a large part of the fighting in South Sudan is ethnically-based violence, this church had made a decision. They would worship together in spite of ethnic and language differences - so we sang and prayed in Anuak, Nuer, Dinka and Murle (my ten minute sermon had to be translated into three of those languages which made it at least 45 minutes...). I was so grateful to be able to experience this inter-ethnic worship - kind of an 'in your face' to the devil, I think. Arriving back in Gambella town I received news of more refugees arriving at already established camps in Sherkole and Pinyudu, and even more people being kept at the border in the Tiergol / Akobo region and in Lare. 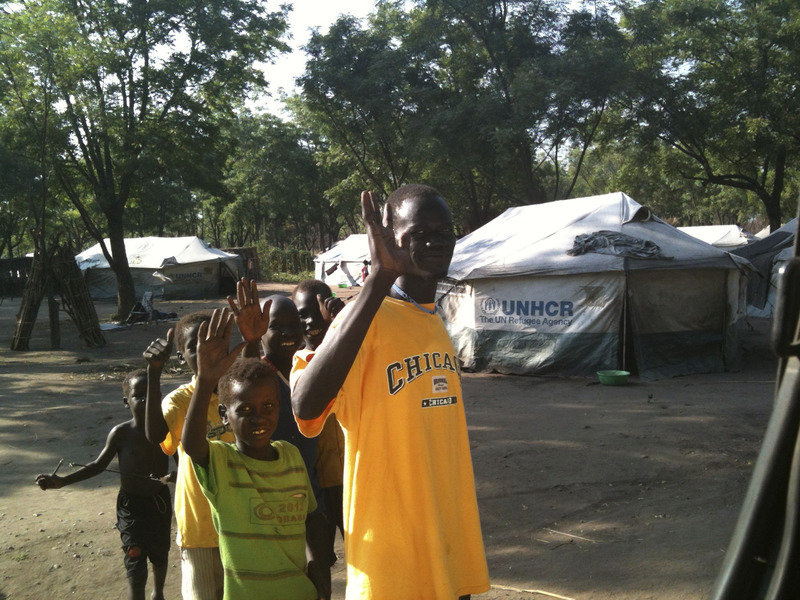 We have also housed a few refugees here in the Gambella Anglican Centre, as they transitioned to new areas. I am very proud of our churches and our staff. We have worked hard in the last year and a half to see our ethnic diversity here as a strength of our church: Dinka, Nuer, Anuak, Opo, Mabaan, Jum-Jum (and now Murle) are in one church and pray and work together. In this new, rather tense, situation, our church members have supported and protected one another. “Ethnicity,” culture and language are not unimportant, but they are secondary to membership in Christ’s body. Some reports in the press characterize the South Sudan conflict as “tribal.” Two things are important here I think. First, the conflict is much more about political power than ethnicity, although obviously ethnicity comes into it and a conflict like this gives opportunity for old (even ancient) scores to be settled. In the present conflict, Dinkas have been fighting against Dinkas and Nuer against Nuer, as well as Nuer against Dinka (with a lot of other groups caught in the middle). Second, I believe we need to be sensitive to the derogatory overtones that words such as “tribalism” can convey. Our Canadian history of dispute between French and English, is one of many examples of ethnic tension in the West (think of the legacy of two World Wars, the Holocaust, Stalin-era Communism, Yugoslavia). Why are are our Western conflicts not called "tribal"? Is it because we think of ourselves as "civilized" and of others (Africans, for example) as "primitive"? Gandhi was once asked what he thought of "Western civilization"; he said he thought it would be a good idea. I want to close this newsletter with a note of thanks. So many people have written to assure us of prayer. Mission agencies and churches have offered financial help. We are very grateful and we are doing what we can to use what is given wisely. Please pray for those who are still fighting, for those who are grieving losses, and for those who are ‘running away’. For the Mothers' Union teaching event Feb 5th &6th: "Nutrition: part 2"
Hey, I appreciate your writing. As Wendy has said, we've had a great deal of guests in the most recent two months or somewhere in the vicinity. We are greatly thankful to every one: my great pal Chuck from close Toronto, a gathering from Trinity School for Ministry in Ambridge, a Mothers' Union staff laborer from the UK, a group of long haul evangelists to Ethiopia who went along with us for a couple of days of Christmas festivities with the Opo individuals, a youthful couple from York, UK observing a call to mission work here in Gambella, lastly a brilliant worker like gathering from South Carolina. Thanks all. Best of luck.